Germany offers many popular travel destinations, and the charming city of Lubeck is definitely one of them. A Baltic seaport in northern Germany, Lubeck was the first German city to sustain damage from World War II bombings. However, you can still see much of the city’s medieval architecture. 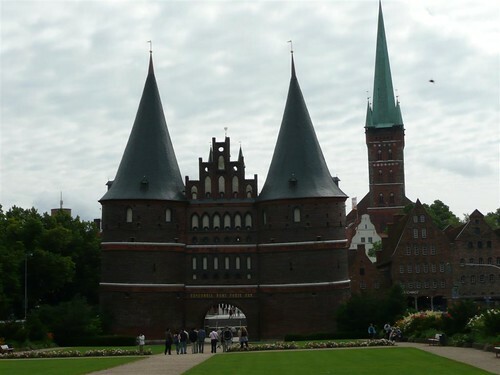 Besides that, Lubeck features a lively nightlife and notable festivals. Lubeck’s Old Town is its most popular attraction, and the best way to experience it is by walking. A leisurely stroll along the winding, narrow streets offers you the opportunity to see firsthand the beautiful blend of modern day infrastructure and medieval buildings. Streets like Fleischhauerstrase and Huxstrasse are lined with souvenir shops, art galleries, book stores and cafes. The Old Town is where you will find the city’s seven historic churches of which the Lubeck Cathedral and Saint Mary’s are the oldest, dating back to the 13th and 14th centuries. You can tour these old churches to see stunning architecture and art works. Other significant structures include the city’s medieval gates, the 12th century Town Hall and the house that belonged to Thomas Mann, the 1929 winner of the Nobel Prize for Literature. After seeing the Old Town, you may also want to check out the city’s old harbor and tour some of the old Hanseatic warehouses and shipping vessels. Lubeck features a few small but interesting museums that include the Behnhaus, Lubeck Museum of Theater Puppets, the Holstentor and the St. Annen Museum. Additionally, there are also a few theaters and cinemas. Nightlife in Lubeck vibrates with a number of traditional pubs, discotheques, Goth parties and trendy clubs. If your visit is during autumn, you may want to attend the city’s annual Nordic Film Days festival where you can view many of Northern Europe’s films in Lubeck’s cinemas. Another special Lubeck event is its annual Christmas Market. This is a popular time for many tourists to visit, especially those looking for a bargain. Like many other German cities, Lubeck’s Christmas Market features a variety of unique gifts and handicrafts as well traditional foods and drinks like the local wine, Rotspon, and the sweet treat, Lübecker marzipan. If you want to enjoy Lubeck’s scenic outdoors, the best way to do it is by taking a boat tour around the city to admire the beautiful landscapes and old Hanseatic architecture. Are you excited to see Lubeck? Hotel accommodations can be hard to find during the festival seasons, but you can leave all the hard work to HotelDealSite. We will compare prices and find you the best possible deals. Check out the hotel deals available online now and begin planning your trip today.